So I am sure that many of you have seen the disney movie Meet The Robinson’s and if you have then you know the moral and slogan for the movie is keep moving forward. I have watched this movie recently and I thought this would make for a good post. In my experience looking to the future is more productive then dwelling on the past. Everyone has a past whether that be positive or negative everyone has one. I cant say that I have a dark or negative past what so ever but I have made plenty of mistakes just like everyone else. As corny and generic as that sounds its important that we learn from these mistakes. This is because if we do not then our life will just be made from the same repetitive mistakes. But why I am writing today is more about your future. It is a new year time to set new goals and aim just a little bit higher. Its time to finally get dedicated to improving your life. My best advice would be to try new things find a passion. These things can change your life. Say you find out that your an amazing painter this gift could open so many doors for you in your life. You may decide that you want to pursue a career in cartooning or animation. Finding these passions and gifts you have can really change your life and help you find your self. So remember to always keep moving forward if your past is haunting you then learn from it and move on find a goal or a passion and pour your heart and soul into this. 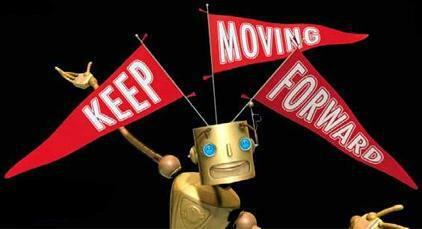 Remember Keep Moving Forward!! !